Here are some facts about Alexander Fleming. 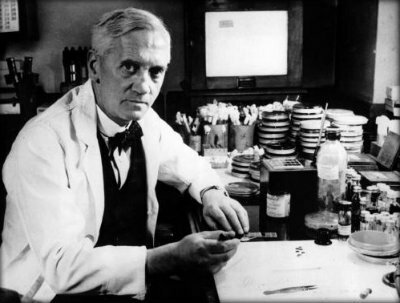 Alexander Fleming was born in Lochfield, Ayrshire (Scotland) on 6th August 1881. When he was twenty, Alexander started a course at St Mary’s Hospital Medical School in Paddington, London. His brother, Tom, was also a doctor. After completing his medical degree, Fleming joined the research team at St Mary’s. 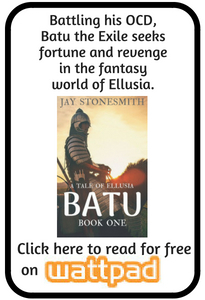 He was the assistant to Sir Almroth Wright, a bacteriologist. During World War 1, Alexander Fleming served as a captain in the Royal Medical Corps, working in the battlefield hospitals in France. In France, Fleming had witnessed large numbers of soldiers dying from infected wounds. He realised that the antiseptics being used destroyed the patient’s immune system and didn’t effectively stop the invading bacteria. He set about trying to find anti-bacterial agents. Alexander Fleming discovered penicillin, the world’s first antibiotic (bacteria killer) by accident on 28th September 1928. He had left his petri dishes stacked up in his laboratory during his holidays and returned to discover the presence of a bacteria destroying mould (penicillin). Fleming capitalised on his stroke of luck by thoroughly testing penicillin. He discovered that it would affect many types of bacteria, such as the ones responsible for scarlet fever, meningitis, diphtheria and gonorrhoea. Fleming published his research on penicillin and the scientists Howard Florey and Ernst Boris Chain built on Fleming’s findings and used them to mass produce penicillin in order to treat the wounded soldiers of World War 2. Penicillin has saved the lives of millions of people. Fleming was knighted in 1944, becoming Sir Alexander Fleming. In 1945, Fleming, Florey and Chain were awarded the Nobel Prize. Alexander Fleming died in 1955. He had a heart attack. He is buried in St Paul’s Cathedral. very good website doing a research project, and this is just the right site to go to get good information. Found it really interesting. My sons James and George are doing a project on it in school (thought I would give a helping hand). The boys found it really interesting and easy to read (taking that they are only seven). It was really quick and easy to use (so I could get back to making dinner). In exactly Georges words ‘Mummy, I like this website but when is it dinner!’. I’ll be using it again for other bits and pieces. Thanks, Choco cake 25! I’m really pleased your sons liked Primary Facts. Look forward to seeing you again soon! Really good web!!!! !I like using it for school projects!!!!!! BEST WEBSITE FOR INFO FOR A SCHOOL PROJECT!!!!!!!!!!!!!!!!!! Best website, really has good info on history of important people’s. This website my made my life easier!!! I recommend this wed.!!! Very good information, a lot of this I didn’t know! amazing website need more of these!! I may be wrong but I believe he was born in Lochfield Farm near a town called Darvel in Scotland.